Your car brakes are checked both when your vehicle is serviced, and for vehicles over three years old, when it has its MOT test as well. This should help to prevent MOT problems, but sometimes your braking system may need additional attention. The main problems that can occur with vehicle brakes are: noise due to the friction material wearing out or some foreign body in the braking system, pulling to one side under braking due to a component being seized, spongy brakes due to either air in the system, a leak or failing component. 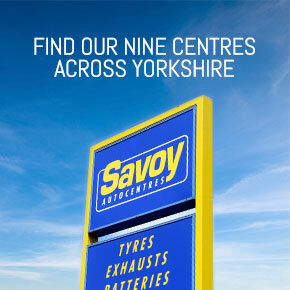 Savoy Autocentres have the staff with the experience to diagnose and rectify all brake problems. If you need assistance just call in to one of our depots and a friendly experienced technician will be available to help. Brake pads contain the friction material that is held within the brake caliper. The friction material is pressed onto the brake disc and this slows your vehicle down. If the caliper sticks it can cause uneven wear on the brake pads which result in noise when the brakes are applied and reduced braking efficiency. Brake pads are normally fitted to the front of vehicles, and often to the rear as well. Brake discs are the round metal parts of the braking system that the brake pads make contact with to slow down the vehicle. They are found at the front of most vehicles, and are becoming increasingly common at the rear of vehicles. Excessive corrosion, excessive scoring or wear beyond minimum thickness usually mean that your discs need replacing. Brake discs should always be replaced in pairs and a new set of brake pads should be fitted at the same time. Brake shoes are another form of car / van brakes. Originally all brakes were drum brakes, but they are becoming less common as brake pads and discs take over. Brake shoes are larger than brake pads and they are pressed onto the brake drum by the brake cylinder in order to stop the vehicle. In a similar way that brake pads use brake discs, brake shoes use brake drums. Brake drums rarely wear out, often lasting in excess of 100,000 miles. Brake hoses are flexible and made of rubber so that the braking system can operate while the vehicle’s steering and suspension is working. Over time rubber degrades and the hoses require replacement. Brake pipes are made of either steel or Cupro Nickel. Steel corrodes and severely corroded brake pipes need replacing. Cupro Nickel tends to last a long time and unless it becomes damaged rarely needs replacing. Brake cylinders operate brake shoes by pressing them onto the brake drum; calipers operate disc pads by pressing them onto the brake disc. Brake cylinders and calipers are normally reliable, but eventually the seals start to corrode and brake fluid leaks out and can contaminate the brake friction material, as well as result in a loss of brake fluid from the braking system.